I moved to Guadeloupe in 2014, and now regularly receive requests for information about learning French here. Sadly, there is no Alliance française, which is what I would normally recommend. Fortunately, I found out about another option that sounds excellent: a one-to-one homestay program where you live and study with a native family. With the Language Abroad Homestay Immersion Program, you benefit from both professional tutoring as well as informal interactions with your native French-speaking host family around the dinner table. 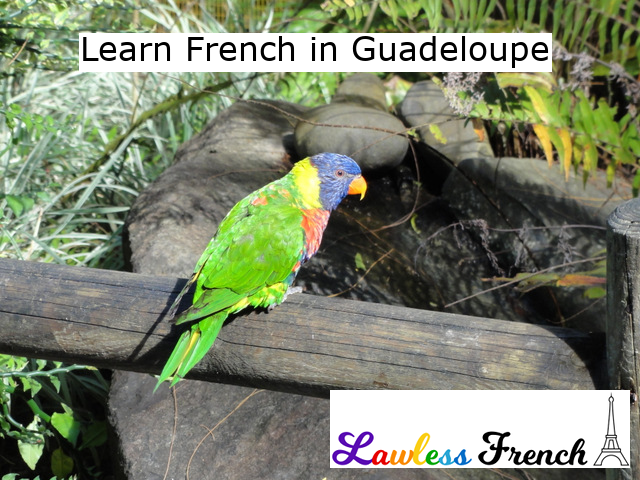 In addition, since Guadeloupe is part of France, you can speak French around town and at the (spectacular) beach, watch French TV and movies, and explore this fascinating fusion between French and Caribbean cultures. It’s true immersion, for any level. Doing homestay as an adult might sound unusual, but this program is aimed at anyone aged 16 to 75, so it obviously takes into account the different needs for all ages. The very detailed enrollment form asks not only about your language level and goals, but also things like dietary restrictions and whether you smoke, so that you’re placed in just the right home. There’s a significant discount for two people (e.g., spouses, parent/child, friends) following the same program.